By Farooq A. Kperogi, Ph.D. The law of attraction says like attracts like, which explains why Muhammadu Buhari is a magnet for mediocrities. Almost all his appointees are, like him, underwhelming, intellectually incurious rubes. It’s no wonder that even the lawyers he assembled to defend his unprecedentedly audacious electoral robbery are also risible dolts. Take, for example, Festus Keyamo, Buhari’s reelection campaign spokesman and one of the lawyers defending his stolen mandate. In the run-up to the presidential election, Keyamo took self-righteous umbrage at scientific polls that predicted that Buhari would lose the election, and his point of attack against the polls was that pollsters merely sampled a little over a thousand Nigerians even though Nigeria’s population is close to 200 million! He wondered why neither he nor anyone he knew had been polled! Apparently, Keyamo has no earthly clue that scientific opinion polls base their snapshots and predictions on something called sampling and that 1,000 is a fair sample to make predictive statements about potential voting behaviors. Gallup, which has accurately predicted American presidential elections since 1944—except in 1948, 1976, 2004 and 2016—polls no more than 1,000 people. You don’t poll every member of a population to make generalizable predictions about the population in research. Every first-year Nigerian university student learns about random sampling in introductory research methods classes. But a self-important lawyer who is defending presidential electoral fraud is clueless about this. It isn’t only research illiteracy that plagues members of Buhari’s legal team. They are also constitutional and historical illiterates. 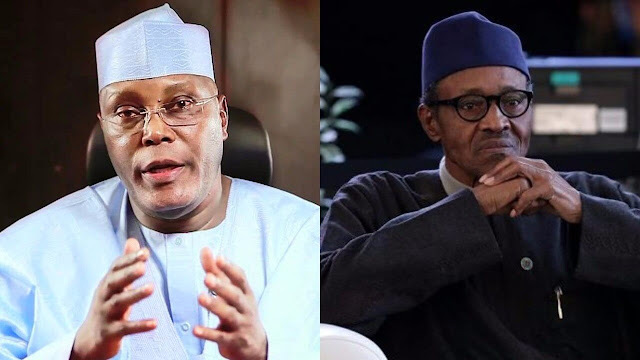 Their constitutional and historical illiteracy is instantiated by their claim that PDP presidential candidate Atiku Abubakar should never have been allowed to run for president because he “is not a citizen of Nigeria by birth” since he was born in what was called British Cameroons, which later became the Sardauna Province of Northern Nigeria in 1961. Many lawyers have already pointed out the scorn-worthy constitutional illiteracy that that sort of reasoning evinces. The Nigerian constitution unambiguously accords the same rights and privileges to people born in British Northern Cameroon as it does to those born in the defunct Southern Nigeria Protectorate and the defunct Northern Nigeria Protectorate. In any case, Atiku’s paternal and maternal forebears migrated from what is now Sokoto and Jigawa states respectively to what later became British Northern Cameroon. The Nigerian constitution recognizes anyone who is descended from any of the ethnic groups that are indigenous to what is now Nigeria as a Nigerian. Atiku’s paternal forebear came to the Jada area of what was later British Northern Cameroon from Wurno in present-day Sokoto State, which has historically been inhabited by Fulani and Hausa people. By our patrilineal traditions of descent, Atiku isn’t even truly native to Jada; he is from Wurno. For the sake of argument, let’s assume that Atiku’s ancestors had always lived in British Northern Cameroon. Well, Buhari’s lawyers betrayed historical illiteracy in thinking that British Cameroons is and has always been synonymous with modern Cameroon. In the 19th century, the German Empire, like other avaricious European powers, expropriated a huge swathe of land in west and central Africa, which it called “Kamerun.” However, in the aftermath of the First World War (which is actually more properly a First European War), Germany was dispossessed of Kamerun along with other lands it had exploited. On February 11, 1961, “subjects” of British Northern Cameroon, which had been governed by the same British colonizers that governed Nigeria, voted to join newly independent Nigeria. In other words, an independent British Northern Cameroon never existed at any point in history, and no one was ever its “citizen.” So which country do Buhari’s nescient lawyers expect people born in British Northern Cameroon to go and be president of? Or do they expect them to be stateless—or be second-class citizens in Nigeria— because of the historical accident of once being governed as British Northern Cameroon? People born in British Northern Cameroon were never part of French Cameroun, which became independent in January 1960. They were even different from British Southern Cameroon, which voted to become part of French Cameroun the same day that British Northern Cameroon voted to be integrated to independent Nigeria. In fact, both northern and southern Cameroons were administered from Nigeria, a reason a prominent pre-independence Nigerian political party was called the National Council of Nigeria and the Cameroons. It’s transparent that Buhari’s lawyers are merely clutching at straws to salvage their client’s indefensibly reprehensible electoral heist. When a theft is as blatant and as easily detectable as Buhari’s, you can’t invoke the resources of knowledge and logic to defend it. When Atiku’s legal team first pointed out that INEC’s own data, stored on its server, showed that Buhari lost the election to Atiku by nearly two million votes, Buhari’s lawyers—and supporters— made fun of the claim. However, they stopped laughing when they were confronted with overwhelming evidence. They went from laughing to claiming that Atiku’s agents had “hacked” into INEC’s server to gain access to— and “manipulate”— it, and even called for the arrest of members of the Atiku team. Meanwhile, INEC, which got hundreds of millions of naira to maintain a server and train staff to operate it, was told to say that it did not have any election results on its server. Well, how can Atiku’s agents “hack” into and even “manipulate” data on a server that has no record of election results? Let us, for now, not even ask what INEC did with the hundreds of millions of naira it budgeted for a server to house election results. Where does it keep the record of the last election? Why is it reluctant to give its record of the results, if it has any, to the Atiku team even when the election tribunal says it should? This is downright conscienceless villainy. Now that Atiku has enlisted the expert intervention of Microsoft and IBM to authenticate his claim that the electronic record of the presidential election stored on INEC’s server is inconsistent with the results the compromised and morally putrid chairman of INEC announced, there is panic in the Presidential Villa, and Buhari’s ignorant lawyers are engaging in comical, illiterate rhetorical antics for the sole purpose of diversion. There are also unconfirmed reports that the DSS has arrested a whole host of INEC’s IT staff members on suspicion that they were the conduits through which the Atiku team got access to the authentic results of the presidential election, which shows that Buhari lost to Atiku. So the Buhari team went from vain boasts of triumphalism, to vacuous laughter when their electoral robbery was exposed, to panic when firm, irreproachable evidence of this robbery was presented, then to comical diversions, and now to illegal arrests of INEC’s IT staff. What’s next? Strangulation and intimidation of the judiciary, which started before the election with the illegal firing of the Chief Justice of Nigeria. The judiciary is now practically impotent. This is undisguisedly full-blown fascism. The last few days have seen a hypocritical mass awakening to the dire existential torments the people of Nigeria’s northwest face and a dramatic diminution of Buhari’s unearned goodwill in the region. People who had constructed Buhari as an unerring, irreproachable demigod who is worthy only of worship and unquestioned admiration have started to call him insensitive and clueless. It took the unceasing escalation of kidnappings and the deepening and widening of the oceans of blood in the northwest for Buhari’s erstwhile unthinking worshipers to come to terms with what some of us have known and said since late 2015: that Buhari is an unfeeling wretch who is also irremediably incompetent. For the first time since Buhari happened on the Nigerian political scene, Imams are now openly preaching against him. Northwestern Nigerian social media, which had functioned as the uncritical fortress for Buhari, is now suddenly viciously censorious of him. Even Daily Trust that plays the role of Buhari’s comforter and afflicter of critics of his ineptitude is allowing critical articles to be published about Buhari on its pages. Public protesters against government, who are a rare species in the northwest, are sprouting and giving vent to muffled, reluctant, tentative but nonetheless significant anger against Buhari. There suddenly seems to be an epiphany in the region that Buhari is an inept, uncaring fraud who scammed the people into attributing to him qualities he never possessed— and would never possess in a million lifetimes. Nevertheless, this epiphany is hypocritical and self-centered. Evidence of Buhari’s inattentiveness to and blithe unconcern with the suffering of everyday people has always been there, and some of us have called attention to it countless times. For instance, amid the tear-jerking humanitarian disasters that the Boko Haram insurgency has inflicted on Nigeria’s northeast, Buhari never commiserated with, let alone visited, the area until he was practically blackmailed into doing so in late 2017. Even so, he only visited soldiers stationed in Maiduguri. When the Nigerian air force bombed scores of internally displaced Boko Haram victims in the northeast in error, Buhari didn’t issue a statement to condole with the people. Nor did he visit them. In the aftermath of unprecedented bloodletting in Taraba, Benue and other parts of central Nigeria, Buhari was insouciant. It took massive media and social media pressures to get him to visit these states. And when he did visit the places, he exacerbated rather than lessened the crises there by his incendiary, unpresidential utterances. He even chafed at being expected to condole with victims of episodic communal deaths, and used the opportunity of these visits to tout his “achievements in security.” I once called that an example of presidential dissociation from reality. As recently as during the last presidential campaigns, when Buhari visited Zamfara, he didn’t say a word about the intensification of death and violence in the state. Instead, he incited the people to more violence. “Let us pray for rainfall so can we grow food, eat, and then cause trouble,” he told the people of Zamfara in Hausa in February 2019. None of the newfound critics of Buhari’s callousness saw anything wrong in that at the time. It took the concatenation of widespread kidnapping in all parts of the northwest and the unremitting intensification of bloodletting in Zamfara for erstwhile worshipers of Buhari to admit that he is a crass, cold, heartless prig. This hypocritical moral imagination is similar to the selective outrage some people in Kano expressed when Abdullahi Ganduje rigged himself back to power while being quiet about, even complicit in, Buhari’s own daylight electoral robbery in the same Kano. To express outrage only when we are personally affected by injustice bespeaks a defective moral conscience. When other parts of the nation were drowning in rivers of blood and Buhari, as is his wont, turned the other way, many of the people who are excoriating him for his cold detachment from the insecurity in the northwest were his fiercest defenders against critics. That is why some people can’t help but exult in perverse satisfaction that the enablers and defenders of Buhari’s incompetence and heartlessness are today the victims of the presidential vices they defended, excused, and justified. But to gloat over the misfortunes of the people who defended Buhari when he ignored other parts of the country when they writhed in bloodstained agony is to be indistinguishable from and morally equivalent to them. 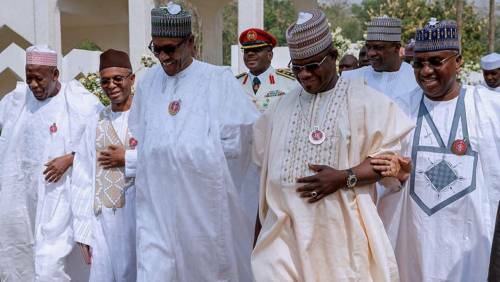 For one, there are victims of the bloodbath in Zamfara and other parts of the northwest who detest and didn’t vote for Buhari. Even those who voted for him don’t deserve the unspeakable cruelty that is their lot today. I admit, though, that it’s hard not to see karmic comeuppance in the kidnap of a prominent fanatical Islamic “prayer warrior” of Buhari’s second term by the name of Ahmad Sulaiman who secured his freedom after nearly two weeks of captivity and hundreds of millions of naira in ransom payment. Nevertheless, in spite of the heightened, unexampled outrage in Buhari’s natal region over his trademark insensitivity to the total collapse of security there, he won’t do anything substantive to attenuate the horrors that threaten the very life of the people there. There are at least two reasons for this. One, Buhari is an inherently solipsistic narcissist. In other words, he is fundamentally and unalterably self-centered. The only person Buhari cares about is Buhari. That is why he spends billions of naira of the nation’s resources to treat even his littlest ailments in London while hospitals are denuded of basic medicines and ordinary people die of easily treatable illnesses. It is the same solipsistic narcissism that explains why he has not built a single hospital even in Abuja in the last four years he has been president. When his son had an accident with a multimillionaire-naira motorbike, he flew him to Germany. Yet, although neither he nor his family members use the clinic at the Presidential Villa, he recently said that henceforth no one outside the immediate families of the president and the vice president should use the clinic. It speaks to the depth of his egocentricity and perverse self-love that he would deny workers of the presidential villa use of a clinic that neither he nor his family members use. The second reason Buhari won’t do anything about the growing insecurity in the northwest is that the perpetrators of the crimes that have held the region hostage have been identified as Fulani. Buhari, as I have pointed out in several previous columns, is a knee-jerk ethnic jingoist. He has a twisted idea of ethnic solidarity that embarrasses even many educated Fulani people. 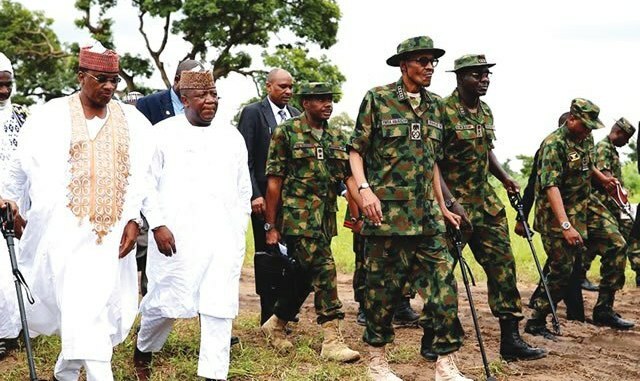 For instance, the only time he ever visited Zamfara to intervene in the security situation there was to protect what he perceives to be the interests of Fulani herders whose cattle were reportedly being stolen by bandits. He even donned military fatigues for this expedition. Now, he really doesn’t care because the victims aren’t people he self-identifies with. The president’s puppeteers have caused him to express faux, impotent outrage to mollify the people of the northwest, but the truth is that he doesn’t care. That’s why his administration’s response has been discordant at best. It said the killings in Zamfara are caused by illegal gold miners in the same breath it said they’re caused by traditional rulers. The absurdity of these claims are the biggest proof that the government Buhari leads can’t and doesn’t want to stem the rising tide of insecurity in the northwest—or anywhere else in Nigeria. It was a Chicago journalist and humorist by the name of Finley Peter Dunne who said more than a century ago that, “the job of the newspaper is to comfort the afflicted and afflict the comfortable.” In other words, the job of the news media is to hold the powerful in the society to account and to protect the weak and the vulnerable from the oppression of the powerful. Since at least 2018 when Buhari’s desperation to get a second term reached a feverish pitch, the media, including the previously critical online media of the Nigerian diaspora and the homeland, have basically caved in to tyranny. They went from being the watchdog of the society to being the lapdogs of the powerful, from being comforters of the afflicted and afflicters of the comfortable to being comforters of the comfortable and afflicters of the afflicted. In sum, the media have become enablers of Buhari’s emergent fascist monocracy— about which I’ve been writing these past few weeks— and tormentors of people who are threats to his growing autocracy. To be clear, I don’t want to sentimentalize a pre-Buhari golden age of media freedom and activism. A vast swathe of the Nigerian media formation has always been in bed with people in power, but there had always been a few shrill, strident voices of dissent that sometimes drowned out the cacophony of disgracefully obsequious journalism that has become the mainstay of Nigerian media practice. All that is gone now. The practitioners of the radical guerilla journalism of the 1990s are either now the new oppressors or intellectual enablers of oppression. Even previously critical diasporan and homeland online media now read like the daily newsletters from Lai Mohammed’s ministry of information. Critical enterprise journalism that calls attention to corruption and abuse of office is either completely dead or so few and far between as to be irrelevant. Yet the Buhari regime is growling and baring its dictatorial fangs like no civilian administration has ever done. Eye-watering corruption at the highest levels of government take place with unexampled impunity. Governmental incompetence exceeds the bounds of reason, and the nation is now a walking corpse. 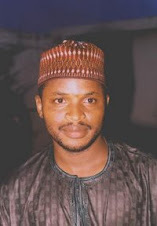 Amid this reality, a previously critical online newspaper had no other use for its reportorial resources than to commission its reporter to write a tendentious news report to impugn the evidence that the Atiku campaign has presented to the election tribunal to overturn Buhari’s daylight electoral robbery. I have never seen that sort of journalism in any respectable news medium in my life. It’s a classic case of afflicting the afflicted. Isolated voices of informed dissent in the media are either censored or squelched outright. My column in the Daily Trust, which I had written since 2005, was stopped in December 2018 because the “board” of the newspaper said I was too critical of the Buhari regime. I was equally critical of Obasanjo, Yar’adua, and Jonathan, but not once was I ever told that it was journalistic sacrilege to afflict the comfortable. A senior, storied columnist for one of Nigeria’s most widely circulated newspapers whose identity I have chosen to conceal confided in me that his column was once bowdlerized by the paper’s editor; the editor expurgated sentences that were critical of Buhari but that weren’t libelous by any definition of the term. A column is an opinion, and opinions are by nature idiosyncratic. That’s why the notion of an “objective opinion” is such a silly oxymoron. If it’s objective, that is, undistorted by personal dispositions, then it’s not an opinion. I can expend more energy lamenting the diminution or death of critical journalism in the face of the worst fascist strangulation of Nigeria, but that won’t be a good use of my energy. I think it’s more useful to ask why this lamentable state of affairs exists. I’ve discussed this with many Nigerian patriots at home and abroad, and most of them point out that the Buhari regime controls the news media through unprecedentedly massive financial inducements of reporters and editors and threats of violence and withdrawal of advertising patronage. That’s largely true. For instance, Daily Trust, which stopped my Saturday column to protect the Buhari regime from the critical searchlight I beam on it, was raided by military brutes in its offices in Abuja, Maiduguri, Lagos, and Kaduna on January 6, 2019. Its reporters and editors were arrested and detained, its computers seized, and its entire operation stopped for hours on end for merely publishing factual news reports that embarrassed the military honchos of the regime. Once censorship begins and it's emboldened, it brooks no limits. When you choose to coddle and feed an insatiable, monstrous beast, it will devour you, too, in a matter of time, and that was what happened to Trust. But the consequences were that it had a chilling effect not just on the paper but also on all other media houses. And that was the intent of the action. As we say in Nigeria, if a crocodile eats own egg, what would it do to the flesh of a frog? In other words, if Daily Trust, a pro-north paper that overprotects the Buhari regime can be so violently shaken for a mere critical news report, what chances do southern newspapers stand, especially in light of Buhari’s notoriety for unabashed ethnocentrism? While it’s true that the Buhari regime has caged the media through vulgar monetary enticement, the self-censorship that comes from the fear of losing advertising patronage from government and its agents, and from the dread of being raided by the military, this isn’t really new. The media weathered similar or worse threats during past military regimes. What is new, I think, is what I call the Tinubu factor in Nigeria’s media politics. I use “Tinubu” here mostly as a synecdoche to represent the mainstream cultural, political, and intellectual currents in Nigeria’s southwest which, for historical reasons, is the nation’s educational, media, and cultural capital. Although the symbolic power of the Tinubu political tendency is waning in the southwest, it is still, for now, the predominant one, and the southwest media, with the exception of the Nigerian Tribune in the last few years, goes wherever Tinubu goes. In a sense, with a few exceptions, there is really no independent media in Nigeria. The media are critical of the power structure only when the dominant faction of the ruling elite in the southwest is kept outside the orbit of governance. It is customary to describe the news media as the fourth estate of the realm. In Nigeria’s southwest, which is the media capital of the nation, the media, at least at the moment, are the third estate of Tinubu’s realm, his first estate being the governments he helped to install and his second estate being his sprawling business empire. Nevertheless, in the coming years, Buhari and Tinubu will fall out. When that happens, the southwest media will suddenly become “critical,” but it will be too late. Bertrand Russel once said, “Freedom of opinion can only exist when the government thinks itself secure.” The Buhari regime is insecure because it is acutely self-aware of its illegitimacy and its sustenance on rank fraud after barefacedly stealing an electoral mandate for a second term in March 2019. So it can only get more vicious.